I make my living in real estate, but my daughter answered a different calling with her career. She’s a nurse who works in Tacoma and lives in Gig Harbor, and moonlights as a real estate broker in the Kitsap region. 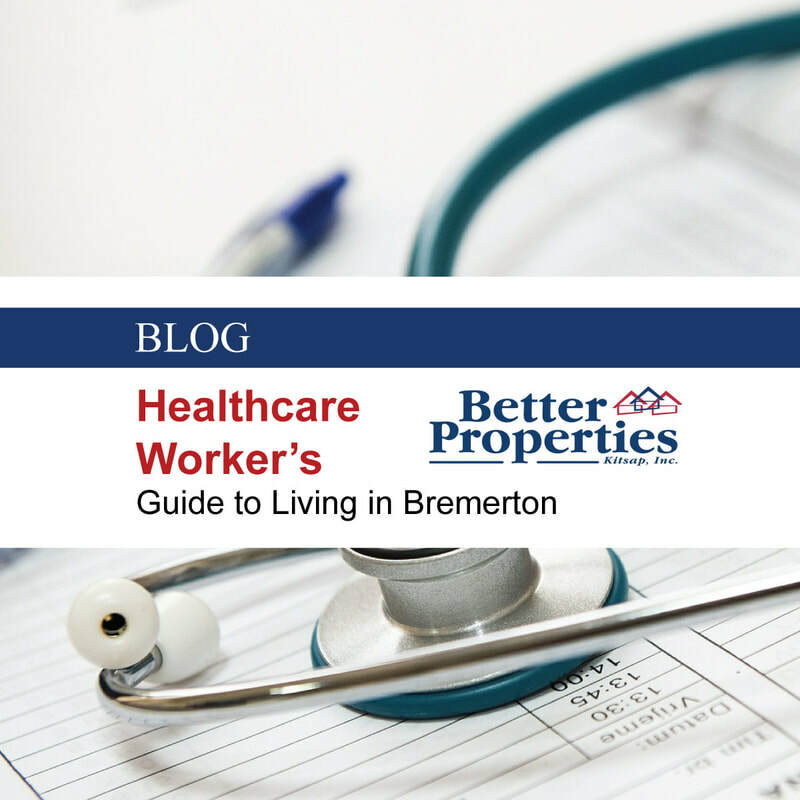 During a recent conversation with her, I was reminded of three important things that owning a home in Kitsap County can give to healthcare professionals — and I want to pass that knowledge along to you. The median price for a home in Kitsap County is $263,500 (Zillow), as opposed to $722,000 in Seattle (Seattle Times). The bottom line is, your money goes farther on the west side of Puget Sound. More affordable properties means more options for you, the buyer — a boon for anyone trying to balance the expenses of living with their plans for the future. More spacious living means more room between you and your neighbors who might not work 12-hour shifts. The explosion of multi-family unit construction in Seattle and on the Eastside (think condos and townhouses) means you risk paying homeowner prices to live in apartment-like conditions: shared walls, less control over noise, and limited privacy. Owning a home in a less densely-populated area such as Bremerton or Silverdale can provide you the peace of mind that your home is a refuge after a demanding day at work. Why not float to and from work? We all know the saying that time is money, but in reality it’s more valuable than that — it’s the foundation of your life, and the most precious commodity you have. Healthcare workers who live in Kitsap County can reclaim ownership of their time off (that might otherwise be devoted to driving) in several ways: An easier commute. Commuting by ferry means you can leave driving, parking and decision-making to someone else. A long shift feels even longer when you have to drive home afterward, but commuting by ferry allows you to relax, socialize, or simply unplug on your way home. A shorter commute. Seattle area traffic is legendarily bad (and only getting worse), making commute times by car and bus unpredictable and unappealing. Ferry commutes range from 28-55 minutes from downtown Seattle and are never impacted by gridlock on I-5. Options to work locally. Kitsap County provides easy access to medical facilities stretching from Gig Harbor to Silverdale and beyond, offering employment opportunities that are accessible by car without ever crossing the Tacoma Narrows bridge. If you’re seriously thinking about buying a home, start making sure that your finances are in great shape. I put together a guide to help you get started. Visit Ready, Set, Go: A Young Homebuyer’s Guide to Kitsap County. I’d also like to invite you to our upcoming home tour in Bremerton! We’d love to have you join us for a 2-3 hour tour through Kitsap County’s booming town with a line directly to Seattle. Register for our September 16th or October 14th tour. Bring the family! We’d love to meet you.